Have you been looking for a sewer repair expert that works with trenchless technology in Tacoma, WA? Beacon Plumbing provides one of the finest services of trenchless sewer repair technology to Tacoma residents. Hire a Tacoma plumber and repair of sewer is never going to be like a headache. No one likes to find out that his house requires sewer repair. However, with our trenchless sewer repair technology for Tacoma residents, sewer can be repaired very easily. The best part is that due to the trenchless sewer repair technology, your yard does not require to be dug up. Hence the new trenchless sewer repair technology ends up saving you a whole lot of time as well as loads of money. With the help of trenchless sewer repair technology, drain pipe lining in Tacoma properties can be repaired more easily now. For repair of drain pipe lining in Tacoma, a liner is installed on one single section of a pipe. The need to replace the whole pipe is eliminated. Drain pipe lining in Tacoma home or office with trenchless technology is the preferred option as it eliminates the use of a trench. With no requirement of trench, this drain pipe lining repair method allows the landscape stays intact. A trench ends up totally destroying it. Due to its effectiveness and efficiency, this method of drain pipe lining repair has become very popular, even with municipalities. You will be surprised to know that trenchless sewer repair technology is not as expensive as it sounds. The sewage in your home can be replaced by this method at surprisingly low and affordable costs by our local Tacoma plumbers. However, we can certainly say that this method is sure to cost considerably lesser than other methods of repair. The reason for affordable repairs is the faster repair time offered by this method. The end result is a strong and durable pipe in your Tacoma properties. Beacon Plumbing offers outstanding service of trenchless sewer repair technology to repair drain pipe lining in the Tacoma region. Call (253) 655-4599 right away! Got a Leaking Sewer in Seattle? Leaking sewers can be quite the problem. But that’s where we come in. There’s many local plumbing companies, but there’s only one Beacon Plumbing. Call us today at 206.452.3130 and we can send a local professional out to you immediately. Do You Have a Leaking Sewer in Seattle? Sewers that are leaking and broken don’t have to be a huge frustration. There are far too many other things to be worrying about, things that deserve your time and attention. So if it’s a plumbing problem, let us handle it for you. We can have a local plumber out to you today! As a large, successful contractor we strive to make sure a plumber is no more than a few hours away. We offer same day service and because we are open 24 hours a day and 7 days a week we can be to your home or place of business at anytime. Also, anyone of our local professionals can help with things other than leaking and broken sewers. In fact, here’s a small list of just a few of the things we can help you with! So don’t let your leaking sewers, or anything else for that matter, stay broken another minute longer. Give us a call for great, local, friendly service by a great, local, and friendly plumber. Is there a sewage smell coming from your home or yard? Have you been able to see sewage waste pooling or collecting in your front or backyard? Are you toilets not functioning properly? If you answered yes to any of these questions, there’s a good chance your line is leaking and broken. Acting as quickly as possible is what we would advise as it can save you thousands of dollars in the long run. A problem of this nature can cause thousands upon thousands of dollars in damage if left untreated. So if you’re looking for a good, local plumber that you can rely on then Stop Freakin…Call Beacon! Or visit us online by clicking here. Either way we hope to hear from you soon. Need Some Trenchless Sewer Repair in Seattle? If you live in an apartment, own a home, or operate a local business, you know how important plumbing can be. I’m sure at one time or another we’ve all experienced a clogged toilet, a leaky faucet, or even a broken pipe. These are all common problems your local plumber could easily fix, but that doesn’t mean those problems are any less of a hassle. Additionally there are plumbing issues that can occur that are much more serious that would most assuredly require a plumber and their expertise. Work needed on a trenchless sewer is an example of such issues. So give us a call at 206.452.3130 and we’ll send a local plumber out to you today! First, our plumber will call prior to his arrival just to make sure you are there and ready for us. Next, you can expect him to thoroughly analyze the problem. Third, he’ll give a price quote down to the penny. We want you to know what to expect so it can be a seamless and wonderful experience working with Beacon Plumbing. We Work On Things Other Than Trenchless Sewers Too! So whether it’s a trenchless sewer or a busted pipe, Stop Freakin…Call Beacon! We are the local plumbing company you can trust. Give us a ring today or visit us online by clicking on the link below! We hope to hear from you soon! Looking For a Plumber in Kent? Fifteen years ago Beacon Plumbing was a small, emerging business. It was founded on hard work and a strong motivation to provide the best customer service out there. Since then this company has grown substantially and now services the entire Puget Sound area. This of course includes your wonderful community. If you’re experiencing any sort of heating or plumbing issues, be sure to give our company a call at 206.452.3130 and we’ll send a plumber to your location today! We look forward to hearing from you. We appreciate you as a customer and want this to be a pleasant experience for you. We want everyone to be on the same page before our plumber begins any sort of work. This type of work can be pricey work and for that reason we want you to feel comfortable with our plumber and what he is doing. So if your home or business has been in need of services from a local plumber, remember Stop Freakin…Call Beacon today! Or you can check us out online by clicking here. Either way we have plumbers located in your area and can have someone out to you today. We always provide same day service, day or night, and are open 24 hours a day, 7 days a week. Problems don’t sleep or take holidays so neither do we! We look forward to hearing from you soon and assisting with any residential or commercial concerns you have. Despite the countless number of plumbing companies located in Everett and across the greater Seattle area, there’s only one Beacon Plumbing! Our plumbers are both trained and competent and have been servicing the Everett area for the past fifteen years. Whether you need assistance from our plumbing company immediately because a your water heater just broke down or if you’ve had a garbage disposal that’s slowly been dying on you, we hope that Beacon Plumbing is who you call! Beacon Plumbing is the Plumbing Company in Everett! We want to do our best to make sure everyone is on the same page regarding the job, the price, etc. Price can be a touchy subject and surely we’ve all heard the horror stories of It’s up to us to do everything we can to provide you with a stellar job. 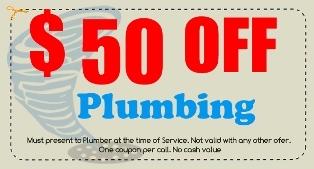 Give Your Local Plumbing Company a Call! When a plumbing problem strikes, give us a call! We are the best equipped to handle all your plumbing needs. Feel free to pick up your phone and Stop Freakin…Call Beacon at (425) 374-4970 or visit us on the web by clicking here! Our friendly staff is ready to help with any and all of your residential or commercial plumbing needs. There’s so many plumbing companies in Federal Way and many more across the great state of Washington. Countless consumers wonder which of all the options out there they should select. But despite the many selections out there, there’s only one Beacon Plumbing! Our trained and competent plumbers have been servicing the Federal Way area for the past fifteen years. Whether you need assistance from our plumbing company immediately because a pipe in your home just recently burst or if you’ve had a drain that’s been sluggishly draining, we hope that Beacon Plumbing is who you call! Beacon Plumbing, Federal Way’s Plumbing Company! We want you to be informed every step of the way. We appreciate you as a customer and want to provide you with our best work. Give our plumbing company a call! So if there’s anything we can do to help you and your home in Federal Way, let us know! We are the best equipped to handle all your plumbing needs. Feel free to pick up your phone and Stop Freakin…Call Beacon at 253-954-1654 or visit us online by clicking here! Our staff is ready to help with any and all of your residential or commercial plumbing needs. There are many plumbing companies in the Bonney Lake area, but there’s only one Beacon Plumbing. We have emergency plumbers who are trained and in your neighborhood. Plumbing issues can occur at any time and we can provide same day service to assist with all your plumbing concerns. Beacon Plumbing began in 1999 and has thrived ever since. We have serviced thousands of homes and you can rest assured our plumbers are trained and we are able to help out with any residential or commercial issues. Although the company originated in Beacon Hill, it has grown immensely and is now servicing many areas, including Bonney Lake. We also specialize in doing sewer work, heating/cooling repair, etc. The list of everything we provide is far too long to post here but you can see it on our website by clicking on the link below. Our equipment is topnotch and our plumbers are excellent. Whether it’s residential or commercial, we have a plumber and the equipment that can get the job done. Many consumers are concerned about pricing and don’t want to get ripped off. All our plumbers will review the invoice with you before any work is done. If you’re comfortable with the price, you can sign the invoice and then the plumber will begin his work. The price will not change so long as the original job doesn’t change. We are upfront with our customers and want them them to feel at ease knowing that a trained, emergency plumber is working with them. Additionally we stand by our work. If a mistake has been made we will happily fix it at no cost to you. So when you need a reliable plumber in Bonney Lake, nobody beats Beacon Plumbing! We are the best equipped to handle all your plumbing needs. Also, we are available 24 hours a day, 7 days a week. Don’t hesitate to pick up your phone and Stop Freakin…Call Beacon at 206-720-2040 or visit us online by clicking here! Our friendly customer service staff is eagerly awaiting to hear from you and help with any and all of your residential or commercial plumbing needs. One of the biggest complaints Bellevue property owners have is the damage brought to their property by plumbers during their repair operations. With modern home designs requiring increasingly complex plumbing systems to be located in some rather inaccessible locations, a plumbing repair operation can quickly become a destructive nightmare at the hands of amateur plumbers. But as always, there is a beacon of hope. Beacon Plumbing brings to its Bellevue customers the very best trenchless pipe and sewer repair technology. Our experts are well trained to handle any type of water, sewer & storm drainage without damaging your property like a bull in a china shop. Unwanted noise is a neighborhood concern and must be avoided at all costs. Beacon Plumbing’s trenchless repair technology is a much less invasive repair alternative which brings a whole host of benefits to you. Many Bellevue property owners already know the multiple benefits of Beacon Plumbing’s trenchless sewer repair, so if you need non – invasive and discreet, but effective sewer repairs for your property, knowing these benefits will show you exactly why Beacon Plumbing’s trenchless sewer and pipeline repair service is the very best solution for all your repair needs. Non invasive: Beacon Plumbing’s trenchless sewer and pipeline repair service means that the repair operation will be restricted to a pair of small access points located at each end of the pipeline to be repaired. This means the whole pipeline network does not need to be excavated in order to repair it. Time: Beacon Plumbing’s trenchless sewer and pipeline repair service uses pipe relining and bursting techniques to replace your damaged pipes with newer, more efficient piping which lasts for much longer. This process also saves on a lot of time because of the non – invasive methods used. So if you’re looking for a repair solution for a plumbing problem on your property and want it fixed without your property looking like it was hit by a meteor, our trenchless sewer and pipeline repair service is the way to go. Our experts will repair your problem quickly and efficiently at prices that will deliver excellent value for your hard earned money. So if you’re looking for the best repair services which get the job done without damaging your property, Stop Freakin’…Call Beacon!